Production Team of Hidden lane landscape design, landscaping installation, landscape care in Northern Virginia Fairfax County. Many of our clients tell us that our crews are the nicest guys they’ve ever had work at their home. Permanent career employees are loyal to us and eager to please our clients. 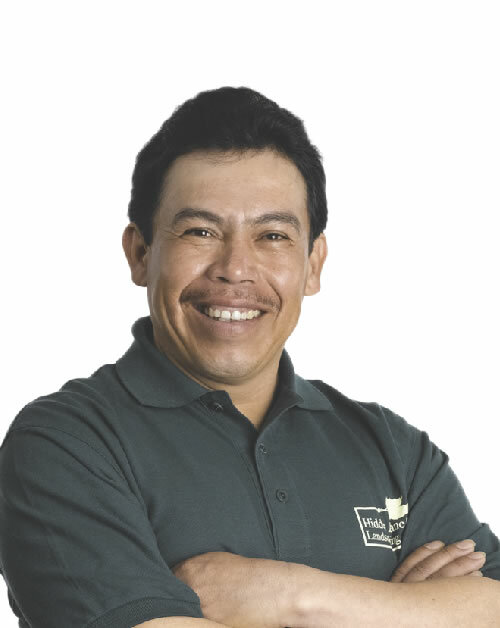 Ovidio has been with us since 1993 and we are very proud he became a U.S. citizen in 2004. 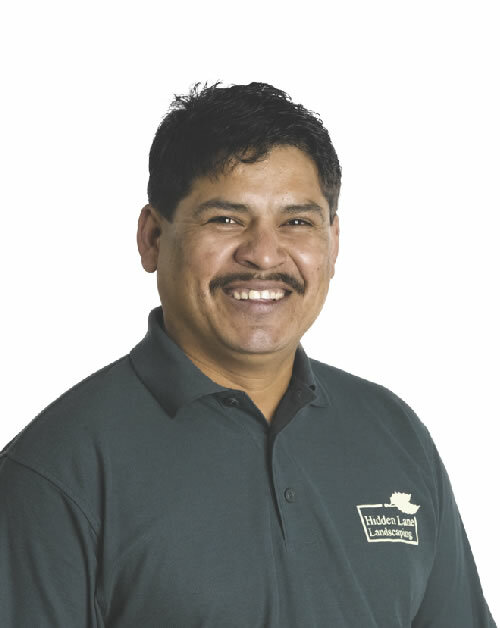 Ovidio has proven to be a gifted teacher, and over the years has trained many of our key employees. He is patient but firm, and quick to give praise when someone has mastered a new skill. He and his wife have two children and own a home in Sterling. 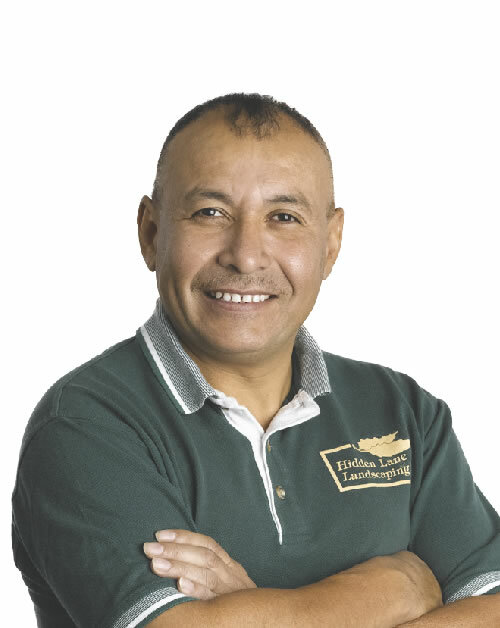 Adonay started working for Hidden Lane in 1993 and he became a U.S. citizen in 2013. Adonay is our “John Wayne” guy, a man of few words but decisive when it comes to installing his landscape projects. He excels at construction and has taken those construction skills to an art form. When he’s not working, Adonay loves to play soccer. He and his wife have two children and own a home in Sterling. Carias joined the Hidden Lane team in 2000. 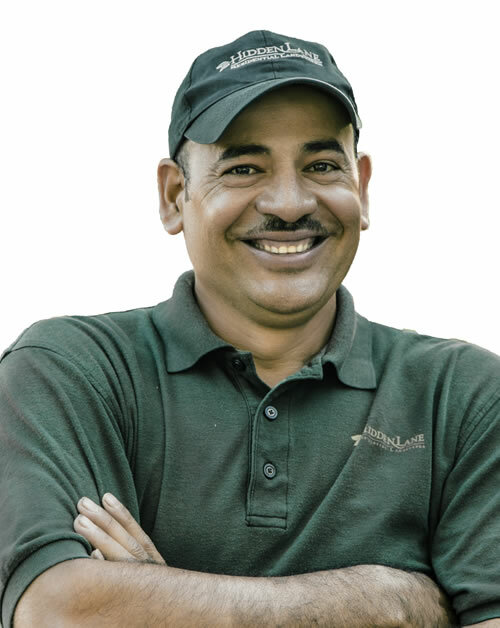 As Ovidio’s right-hand-man, he quickly learned the skills of all aspects of landscape installation before getting his own crew in 2011. He is especially keen to ‘lead the charge’ when it comes to finding new ways to use equipment as efficiently as possible, to work smarter not harder, and always with a cheerful attitude. He and his wife have a daughter and own a home in Great Falls. When enjoying leisure time, he can be found fishing on the Potomac or Chesapeake Bay. Lito joined us in 1999, and after working with Adonay for 6 years, was awarded his own crew. 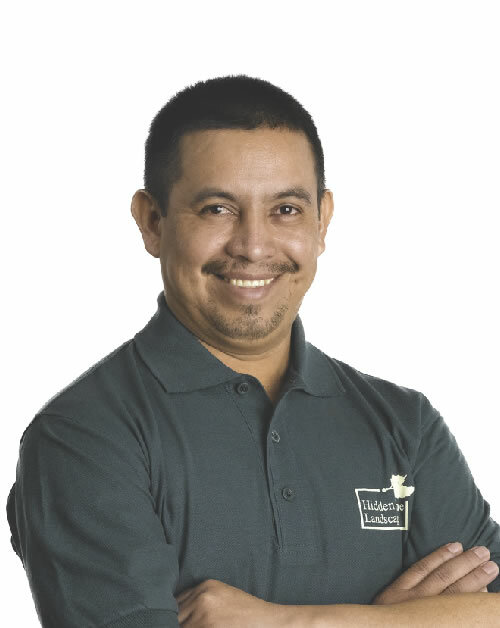 Lito excels at construction, and enjoys installing walks, patios & drystack walls. Lito and his wife have a son and they own a home in Sterling. In his spare time he plays soccer, the guitar, congas and sings. Virgilio came on board in 2007 and we were all immediately impressed with his leadership ability. 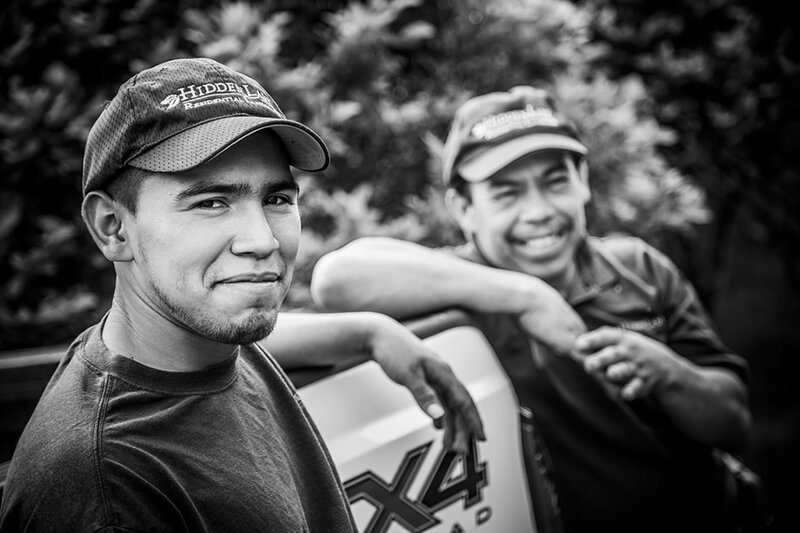 He quickly became Lito’s assistant foreman and in 2014 began running his own crew. Virgilio is great with numbers and can calculate grade changes in his head quicker than most people can do with a calculator. He is one of the friendliest and happiest people you will ever meet and always has a positive attitude. "Hidden Lane provides great service and no hassles, that is where we see value for our dollar. Their awesome follow-up has made me a customer for life."